Meals cost $15.00 and are available for dine-in or take-away. There are also Pareve desserts for $4.00. The JCCV Deli is open Tuesdays to Fridays, from 11:30 am to 1:30 pm. For more information, call 250-477-7185 or email jccv@telus.net. 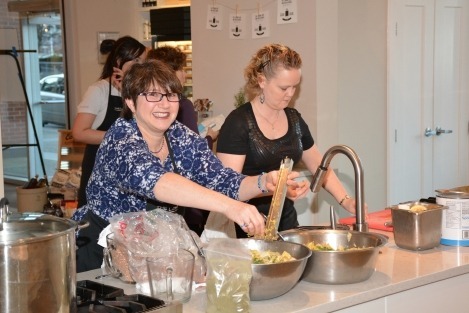 What fun for the 75 people who attended this event on February 17! And what a rush to watch Rae Ann Brechner, Ellen Dragushan, Allan Mandell, and Aharon Ittah as they chopped, fried, cooked and served such delicious food. Before a sold-out crowd, teams from Congregation Emanu-El and the London Chef prepared the meal. 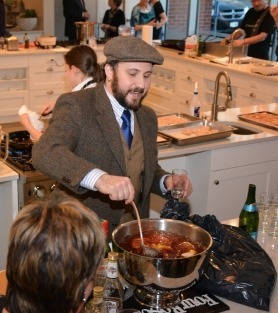 As they cooked, Solomon Siegel served up One-Jew Punch, created specially for the occasion (key ingredient – Manischewitz, of course). 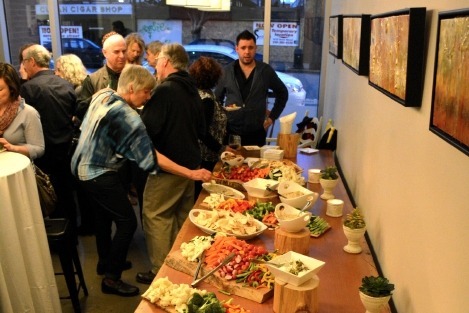 From appetizers to the delicious rugelach made by Ellen Dragushan, the tasting opportunities kept coming. With cheers and applause for both teams, the Emanu-El team was declared the winner by Rabbi Harry, the evening’s MC. Amid hoots of laughter, he reminded the crowd that they were “somewhat biased”. And the guests? We all felt like winners! 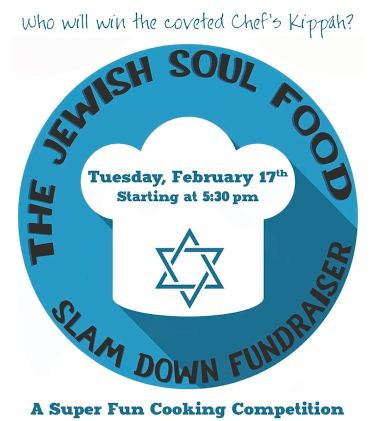 Who will win the coveted Chef’s kippah? Why: To raise funds for Congregation Emanu-El and have a great time eating sumptuous Jewish Soul food. Cost: $75.00 per person includes a three course Jewish Soul Food dinner, cocktails, wine, fantastic entertainment, local celebrity judges and a chance to vote for the culinary team of your choice. To register, phone the synagogue office (250-382-0615) on Tuesday, Wednesday or Thursday, between 9:30am and 2:30pm, to pay by credit card, or send a cheque to Congregation Emanu-El, 1461 Blanshard Street, Victoria, BC V8W 2J3. If you have any allergy or dietary concerns, please email Jean Dragushan.